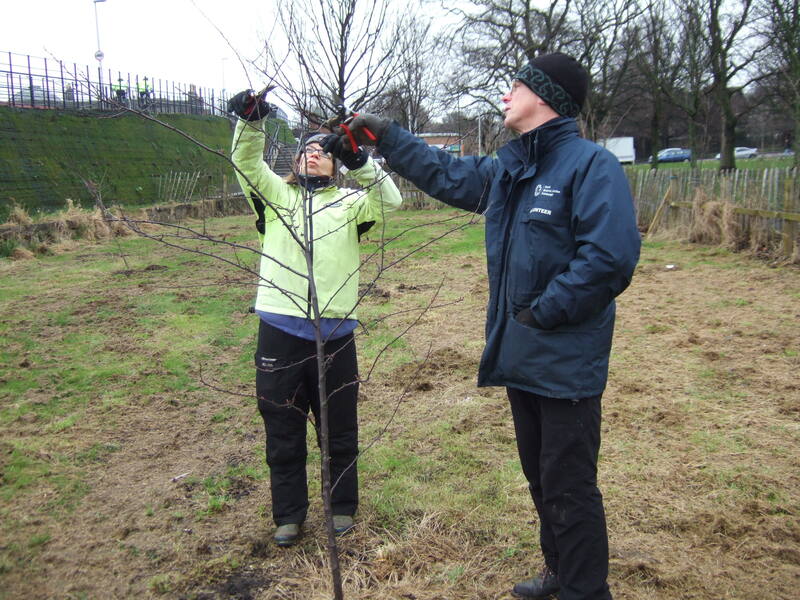 Many typical winter tasks can be done in February, such as: preparing the ground for spring seed sowing, planting new fruit trees and bushes and pruning apples, pears and soft fruit. Annual pruning of trees and bushes aims to encourage well-spaced branches that produce ripe fruit. In addition, pruning helps to maintain the health of the tree or bush by removing dead, diseased, damaged and congested branches. There are lots of good pruning tips on the RHS website. It is unlikely that many seeds would prosper if sown outside now. There is always a temptation to rush out and sow seeds early. However seeds sown later into warmer soil tend to catch up with earlier sown seed and have less chance of rotting. If you have a warm greenhouse or polytunnel it may be possible to sow a range of crops such as radish, beetroot, chard, early carrots, parsnips, cabbages, kale, kohl rabi, hardy salad leaf mixes, rocket, peas and broad beans. Chillies and tomatoes benefit from an early start. They need a high temperature to germinate so should be sown in a heated propagator or warm windowsill. Other things to sow in heat now include celery, celeriac, onions and leeks. Many garden centres will now be stocking seed potatoes. Potatoes are tender and should not be planted out until late-March or early-April. 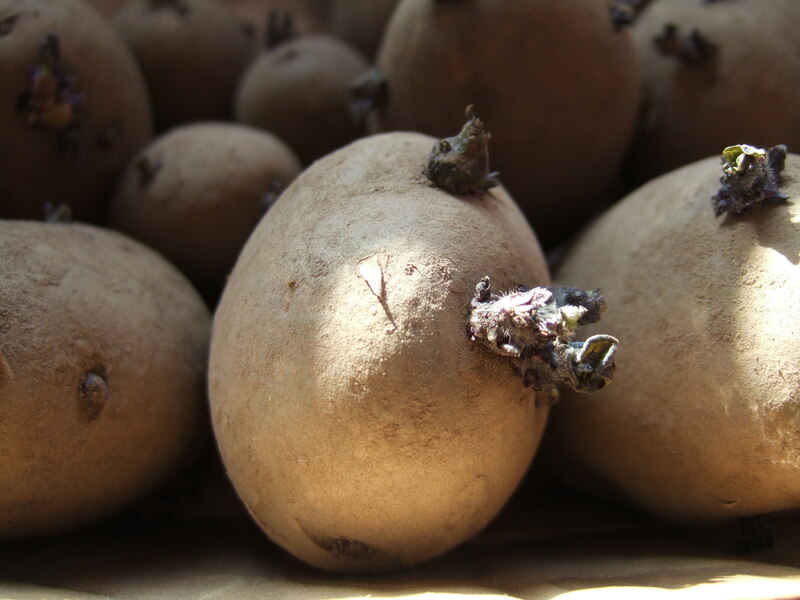 Seed potatoes can be encouraged to sprout before planting by placing them in a cool, light place; this is known as ‘chitting’. The ‘chits’ (shoots) develop from ‘eyes’ on the potato, the ‘eyes’ are usually concentrated at one end of the potato. An old egg box is a useful way of arranging the tubers so their ‘eyes’ are upright.